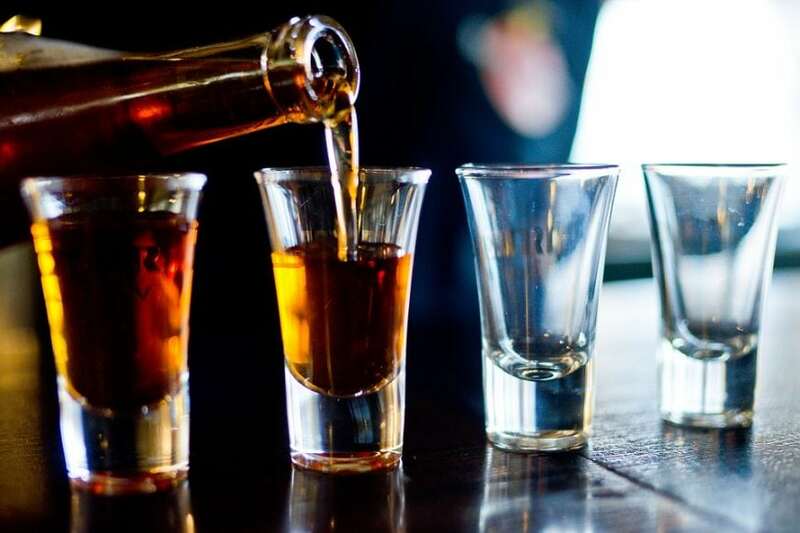 Hazardous alcohol use is a pattern of alcohol consumption that places the individual at an increased risk for adverse health outcomes such as cardiovascular diseases. Hazardous alcohol use is recognized as a distinct disorder by the World Health Organisation (WHO). Studies have found that hazardous alcohol use is common among those with mental health problems. Studies done in Australia, Sweden, and the United States have reported a prevalence of 23% to 49% among patients with psychiatric illness, while Asian studies have reported lower figures of 5% to 10%. The current study conducted in a tertiary psychiatric institution in Singapore established the prevalence of hazardous alcohol use in an outpatient population among those with schizophrenia and depressive disorders and assessed the sociodemographic and clinical correlates of hazardous alcohol use. The study also examined the association of hazardous alcohol use with the severity of depression, anxiety, smoking, and quality of life. Three hundred ten outpatients were included in the study and assessed for hazardous alcohol use using the Alcohol Use Disorders Identification Test (AUDIT). AUDIT is an instrument that is widely used to screen for hazardous alcohol use across different healthcare settings. This 10-item instrument covers drinking behaviors (average quantity and frequency of consumption), dependence symptoms as well as alcohol-related problems (e.g., injury related to alcohol use). Each question is scored on a scale from 0 to 4, and a score of 8 or higher is typically considered a positive indication of an AUD. The severity of depressive and anxiety symptoms was also established using valid instruments. Quality of life a multi-dimensional concept was captured along four domains – physical health, psychological health, social relationship and the environment. The overall prevalence of hazardous alcohol use among those with psychiatric illnesses was 12.6%. The prevalence of hazardous alcohol use among patients with depression was 18.8% while among those with schizophrenia was 6.4%. Compared to those who were students, both gainfully employed and unemployed patients were more likely to present with hazardous alcohol use (Odds Ratio (OR) = 5.5 and 7.7, respectively). Patients with depression compared to those with schizophrenia (OR = 11.1) and patients that were current smokers compared to those who had never smoked (OR = 14.5) were also more likely to engage in hazardous alcohol use. Hazardous alcohol use was significantly associated with lower quality of life in the physical health domain however, other domains of quality of life were not affected. The prevalence of hazardous use in the current study was similar to that of heavy drinking reported in the Singapore population in earlier studies as well as that reported among patients in Taiwan with severe mental illness, where 10.5% of patients met criteria for hazardous alcohol use. It must be noted that hazardous alcohol use is much lower in this population as compared to that reported from studies in Australia, Sweden, and the USA. The lower prevalence may be due to stringent liquor control laws in Singapore or due to the phenomenon of ‘alcohol flushing response,’ which has been observed in East Asians. This response is characterized by facial flushing, nausea, and tachycardia in response to drinking alcohol and the patient population (the sample being predominantly Chinese) may have experienced similar unpleasant reactions thus limiting their consumption. Compared to patients with schizophrenia, patients with depression were 11 times more likely to engage in hazardous alcohol use. Several possible explanations have been suggested to explain the association of depression with hazardous alcohol use and these include shared common environmental or genetic causes. It is also possible that those with depression may drink alcohol as a coping strategy for dealing with negative feelings, or alcohol problems may affect the development of depression through negative effects on a drinker’s marital, economic, and social status. The results of the study emphasize the need for both routine screening for hazardous alcohol use and culturally appropriate brief interventions to prevent the development of alcohol use disorder as well as physical illnesses in this population. These findings are described in the article entitled Hazardous alcohol use among patients with schizophrenia and depression, recently published in the journal Alcohol. This work was conducted by Mythily Subramaniam, Mithila Valli Mahesh, Chao Xu Peh, Junda Tan, Restria Fauziana, Pratika Satghare, Bhanu Gupta, Kandasami Gomathinayagam, and Siow Ann Chong from Buangkok Green Medical Park.